Vortex Diamondback vs. Diamondback HP in 2019 - Learn The Difference! To be honest, when I was asked to review both scopes, I thought that’s weird. How can you compare the performance of two totally different models even within the same model group? Well, I am never one to give up on a shoot, and took both models down to the range, checked them out, set them up and shot. Consider that there are a number of different features and specifications for both and that the HP is nearly double in price, the outcome is obvious, but let’s just go ahead and compare anyway. 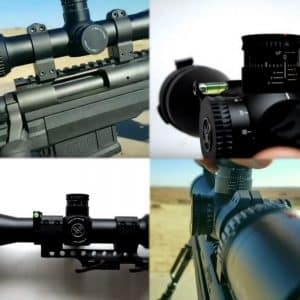 The Diamondback® 4-12×40 riflescope is ideal for all size of hunting, from big game to predator/varmint, as well as great for a muzzleloader, slug shotgun, and other long-range applications. 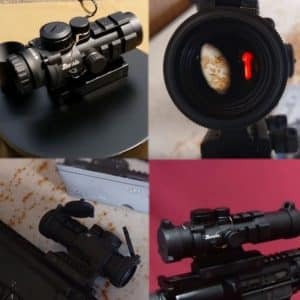 This model comes with a Dead-Hold BDC reticle that is designed for the fast and accurate reaction when acquiring the target and is great for hunting or shooting at varying ranges to eliminate hold-over concerns. A quick breakdown of this model shows me that it has the standard set of optics that are fully multi-coated and this model uses a second focal plane (SFP) reticle configuration. The tube is 1 inch in diameter and is made from a high-grade single piece of aluminum, machined to high tolerance with O-rings for waterproofing, Argon gas purged for fog proofing, and sealed with a hard anodized finish to perfect the overall shockproof performance you expect from a basic scope model. This model does come with the Vortex Precision-Glide Erector System together with Capped Reset Turrets that let you re-index the turret to zero after sighting. The Diamondback® HP (HighPerformance) riflescope is another category in the Diamondback model range, and as an HP variant comes with many more features than the basic Diamondback models. 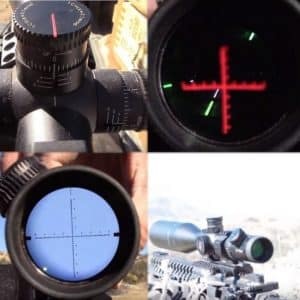 The SFP reticle uses the same BDC design, as such you get a lot of the guesswork taken out of the equation, and you can scope and shoot on target acquisition without too much thought, a true fast reaction reticle. Apart from this similarity between the two models, the rest is quite different. The HP models come with XD™ Lens Elements these are Extra-low dispersion (XD) glass that is designed to increase the resolution and color fidelity, providing you with crisp, sharp images. The XD glass is coated with XR™ Fully Multi-Coated anti-reflective coatings on all air-to-glass surfaces. 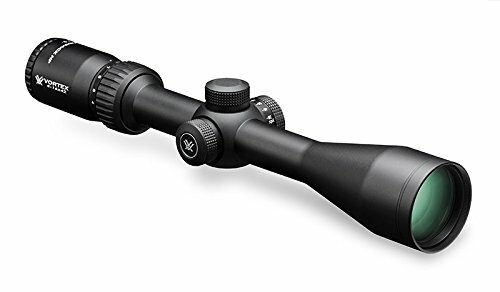 In terms of body construction, the materials are identical, and so too is the tube a 1 inch diameter single piece of aluminum, machined to high tolerance with O-rings for waterproofing, Argon gas purged for fog proofing, and sealed with a hard anodized finish to perfect the overall shockproof performance you expect from a basic scope model. You also get the Vortex preparatory Precision-Glide Erector System for smooth zoom lens magnification changes under the harshest conditions. There are Capped Reset Turrets to re-index to zero after sighting in the riflescope. This model comes with side focus adjustments for easy and fast operation. Its easy comparing two totally different scopes, since the features are so diverse, that essentially you have two scopes providing different application purposes, which means there are no comparisons, they are two different devices with different prices, and each one delivers a specific performance for a bespoke application. 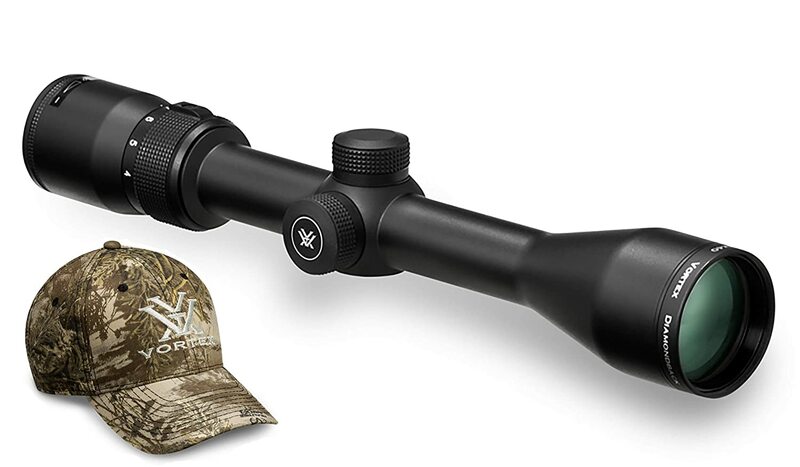 The Diamondback 4-12×40 is an inexpensive scope designed for multiple purposes and is suitable as a low-end scope for restricted budget hunters. It delivers great performance but is not the best scope on the market in this category, and it makes up for the lower end price with a quality performance. Having stated this, the scope performs well in comparison to many other scopes in the same category, and you will not miss any shots if you know how to use an SFP scope. In comparison, the more expensive Diamondback HP4-16x gives you much more versatility and range and allows you to maintain a long distance for more accurate shots. The HP is a durable and rugged scope perfect for all the same targets that the basic Diamondback model delivers, and then surpasses it by far. For a closer look check out the magnification difference, the HP gives you 16x, while the standard model only reaches 12x. The HP has a 42mm objective lens, which is 2mm wider than the basic model, and the eye relief is significantly larger on the HP with 4 inches diameter versus 3.1 inches diameter on the basic model. The FOV is actually in favor of the basic model, its 30% more than the HP. However the Parallax setting on the standard model is 100 yards, where the HP gives you a 30-yard start to infinity. 3.4 ounces less than the HP. In terms of general handling, both scopes handle the recoil well, they are both rugged to the same degree, and yes, I did submerge them in water, and they are waterproof. 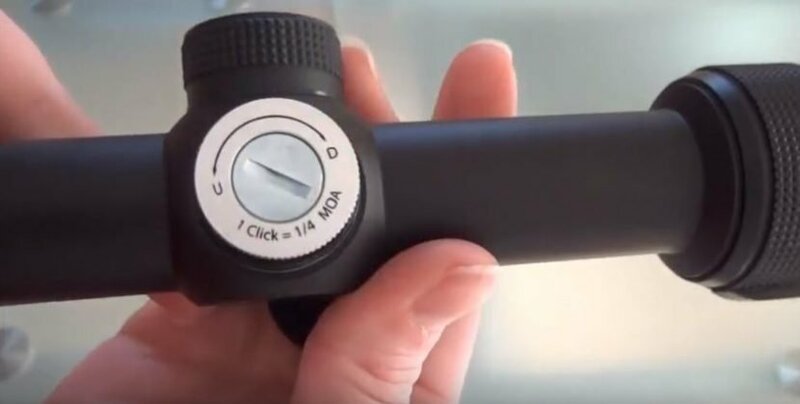 If you know how to use one, you know how to use the other, since they are both Vortex models with side adjustments and adjustment identical design features. As I started out when I was asked to compare between the two I thought I was being pranked. However, I went along with the request and took a few shots with both on an AR-15 5.56 and a .308. The bottom line is this; The Diamondback HP is a long range riflescope for multi-purpose hunting, it allows you more room to work with and gives you much more clarity of vision. The Standard Diamondback model gives you a better FOV and lighter handling, but is not as accurate in target acquisition, especially over 50 yards, and the optics are not as clear as the HP. The HP is a higher end market model and is still budget friendly when compared to other scopes in its league. The standard Diamondback is an extremely budget-friendly model and performs well. Which one would I choose, well that depends on my budget. If I had $500 to spend, and I could only choose between these two models, then I would go for the HP. 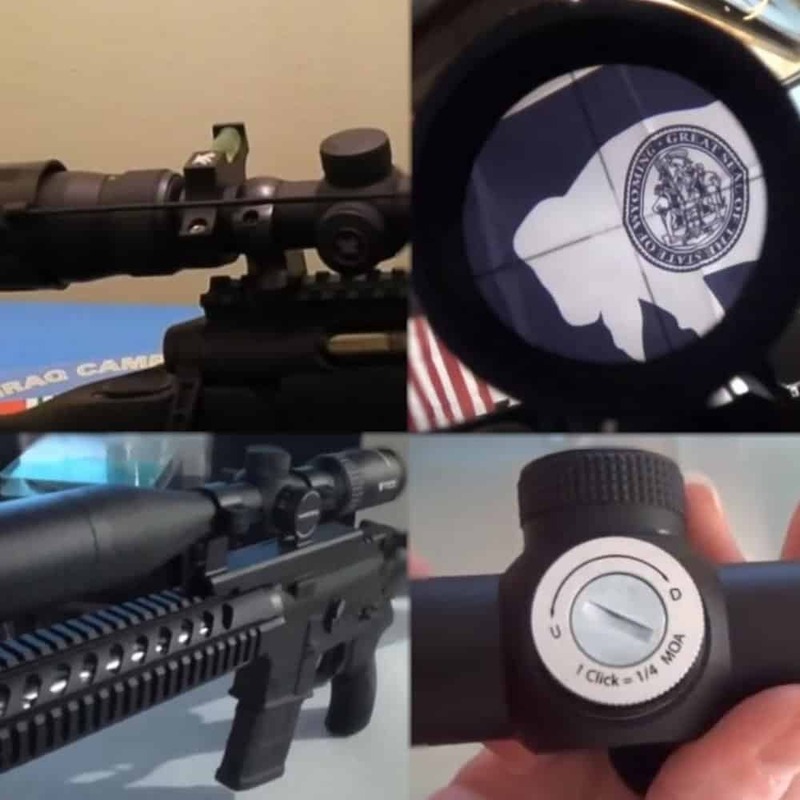 If you want a great practice scope for beginners and training sessions, then the standard Diamondback is a much better choice, and you get to pocket the change. Previous PostWhich One To Pick: Trijicon Accupower 1-8 vs. Vortex Razor!